This bintang Wars: Revenge of the Sith fan art contains api, inferno, and api. There might also be konser, perapian, perapian terbuka, tungku, jejak kuda, horse trail, and lintasan kuda. 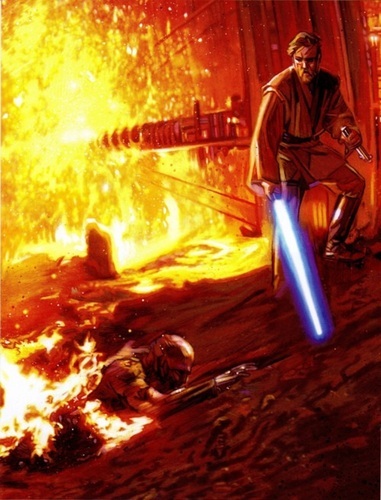 This is a very graphic image of what happened to Anakin. When I saw the movie I had my eyes shut during this part and didn't see it until I got the DVD later on.